If you watched television in the ’90s, there’s a good chance that you watched Friends at some point. The hit TV show ran from 1994-2004 and served as a jumping-off point for many members of the show’s cast. 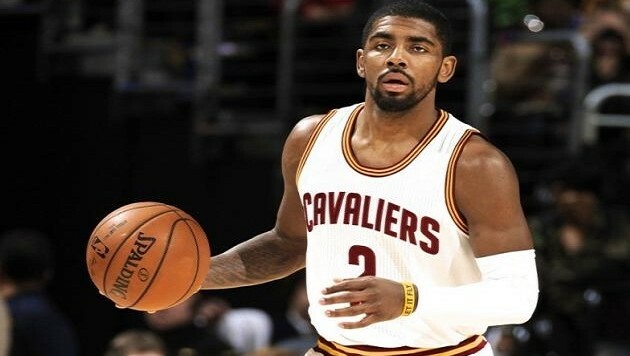 Cleveland Cavaliers point guard Kyrie Irving was born in 1992, but he’s a fan of the show too, apparently. GQ’s Jack Moore did some excellent detective work and noticed that Irving has a tattoo of the Friends logo on his forearm when he was speaking with the media on Wednesday. We didn’t peg Irving as a Friends fan, but he is a millennial, so it’s not too big of a shock.